List Rules Vote up American Horror Story's funniest moments. American. Horror. Story. Most folks might think the show's title is a fairly large clue indicating just how traumatizing this show can be. What they don't know is, that in addition to the, yes, plentiful gore, scares and shocks, there's a strong through-line of darkly funny humor that's all the funnier for taking the audience by surprise. The funniest moments from American Horror Story are as hilarious as they are gif-able. These moments of dark humor on American Horror Story sometimes catch viewers off guard. The times American Horror Story was surprisingly funny stand in stark contrast to the bloodshed. What also makes American Horror Story funny is the fact that Ryan Murphy and his writers have a knack for writing endlessly quotable dialogue. Here are all the hilarious moments and jokes in AHS that will make even the most squeamish viewer feeling the FOMO that they're missing the most meme-able show on television. "B*tch, I Will Eat You!" Queenie (Gabourey Sidibe) had some great moments in Coven, but none were better than when she directed her rage at Madison Montgomery (Emma Roberts) after the b*itchy witch has said one snarky comment too many. Queenie's sudden switch from calmly pledging her allegiance to the Coven "tribe" to full-on, standing up, screaming at Madison is one of the most hilarious moments of Coven by far. 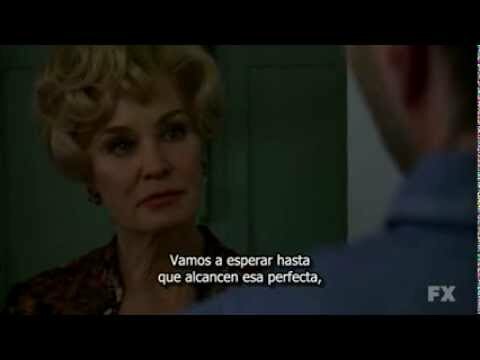 The humor of this particular scene in AHS: Freak Show lies in Gloria's (Frances Conroy) complete obliviousness to Twisty the Clown's (John Carroll Lynch) gruesome, gory appearance. Her innocent inquiry about children's parties posed to the walking embodiment of coulrophobia is all the funnier because she somehow is oblivious to his obvious murder vibes. Which Character Is Actually Behind The Killer Clowns In American Horror Story? Is anything more hilarious than watching an unrepentant racist sob at the site of progress? 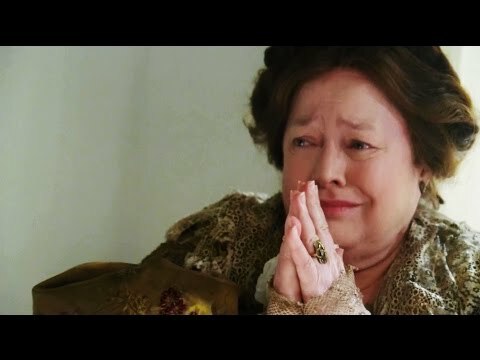 Watching Madame LaLaurie's (Kathy Bates) entire, antiquated, vile worldview collapse at the site of Barack Obama becoming President is hysterical! Suffer, you old racist! Constance (Jessica Lange), the sticky-fingered Murder House neighbor, has some pretty homophobic opinions to get out of her system to former Murder House owner Chad (Zachary Quinto). She decides to get all biblical on him and calls homosexuality an "abomination." Chad smoothly claps back with a read on her style choices, saying "So's that hairdo, but I figure that's your business." Really, the entire scene is some of the best sass of the season.